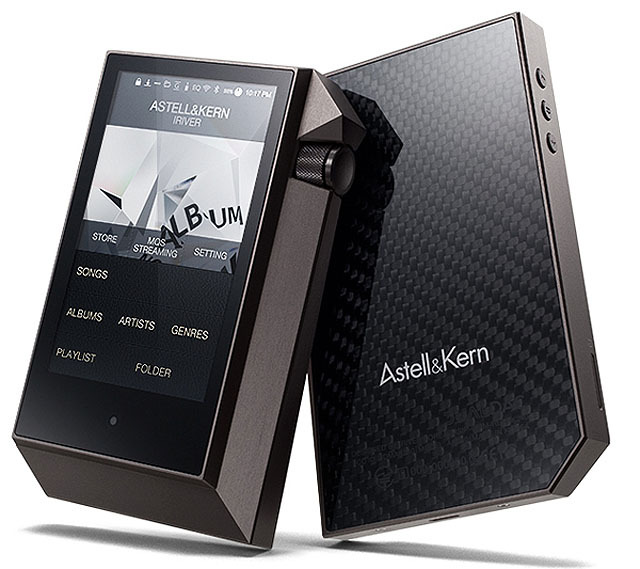 The dawn of the High Resolution Audio age – maybe next year, eh? 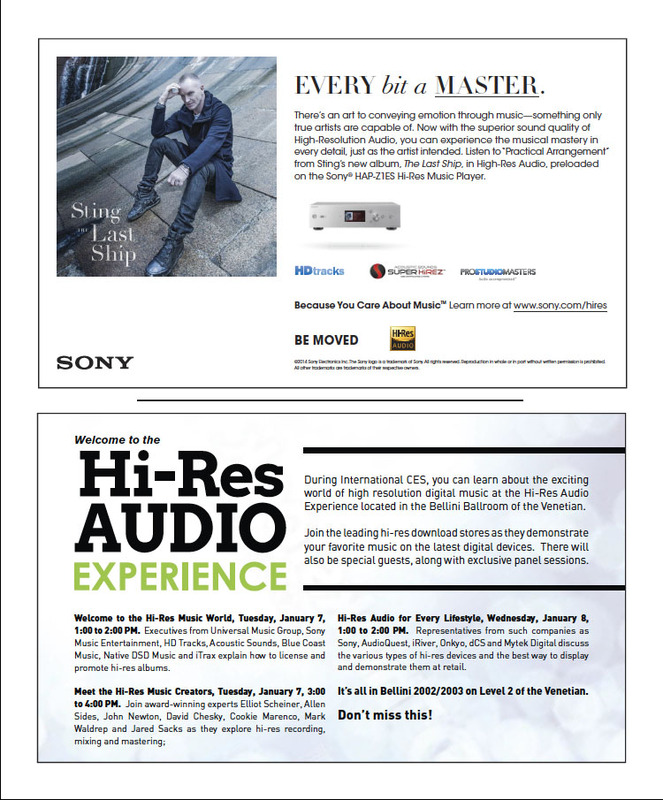 CES 2014 was going to be the event at which audio moved beyond CD quality and data-reduced downloads, and became high-definition. Not only had the organisers of the event, which took place last week, decided that the new official term for anything beyond CD was Hi-Res Audio, or HRA, they’d also promised to spread the word about this shining new future for hi-fi in a special ‘zone’ at the show. Cue various declarations that at last ‘hi-res’ audio was about to go mainstream, the odd Google-friendly ‘everything you need to know about…’ piece by hacks seemingly keen to show that everything they knew was sadly inadequate – in fact, modified rapture all round. A few things got missed along the way, however, not least the fact that CES organisers the Consumer Electronics Association (of America) likes to put its stamp of ownership on any new technology it sees coming down the tracks. So just as it decided some time back that what we’d all been describing as 4K TV was in fact to be called UHD TV, to the confusion of those who’d only just got their head around what 4K meant (or sort of meant), so this year HD audio in all its various forms was redesigned HRA. Then there was the scale of the actual announcements made at the show, which amounted to somewhat less than a hill of beans in terms of headline-grabbing ability, however much those trying to talk up the event tried and tried. Let’s see: we had something approaching price confirmation on a Sony product already shown and seen before – the company’s NWZ-ZX1 HD Walkman, launched alongside its streaming hi-fi components some months back, will sell for £500+ –; new products from companies already making HD players, in the form of Fiio’s X5 (available in China since last month, and the step-up model from the excellent Fiio X3), and Astell & Kern’s AK240, which looks highly desirable (at least in specification terms), but is going to be reassuringly expensive when it arrives here; and a whole load more 24-bit/192kHz-capable hardware from major audio names. Cause for celebration? Hardly ‘put out flags’ stuff, is it? Just about every hi-fi manufacturer worth its salt has had HD-capable hardware available for yonks now, from budget DACs all the way up to high-ticket network music players. After all, just about ever DAC chip you can buy these days will handle HD music – they’re designed for the demands of Blu-ray soundtracks – so if you’re a manufacturer, why not make use of it? Even those companies willing to admit in private that they feel the whole HD audio thing is a red herring are equipping their products to accept these ‘beyond CD’, simply because it’s become another item required by the ’specification tick box’ mentality now so prevalent in consumer electronics. Ah yes, but surely the fact even mobile phones are now able to play 24/192 audio is a sign of the revolution having arrived? Hardly – the over-saturated smartphone arena is currently seeing manufacturers throwing anything they can at their products to try to gain an edge in the specification (and thus publicity) stakes, and of course if one manufacturer says it has 24/192 playback, its rival’s likely to announce the same thing within days. Especially if both companies are South Korean. Yes, you can now play HD music on some smartphones, just as you can now play HD movies – but who on earth would want to? So, where are we with the ‘HRA’ revolution? About where we were six months ago, with the added amusement (for those of us who have been buying, downloading and enjoying HD music for several years) of watching the wide-eyed wonder of those in the press for whom all this is new and shiny. Well, those in the press who can be bothered: I’ve seen very little in the ‘general’ reporting from CES to suggest that most of the 5000+ ‘tech’ bloggers and blaggers in attendance were even aware of the show’s ‘HRA’ zone, let alone that 2014 marks the tipping-point for the future of audio. That’s hardly surprising, really, when the ‘zone’ was hidden away with the high-end audio stuff at the Venetian hotel, well away from the main show ta the Las Vegas Convention Centre, and off the radar of most of the badge-hacks. Even the discussion sessions organised at the show seem to have been pretty bleak, for all their protestations of optimism. Those present agreed that moving consumers on to ‘HRA’ would be a struggle due to the wide variety of formats out there, and the cut and thrust between various groups regarding the superiority of, say DSD over 24/192, all of which spreads consumer confusion. There were several nicely-put analogies trotted out – too nicely-put to be spur of the moment, surely: one participant suggested that trying to switch MP3 downloaders and YouTube viewers to ‘HRA’ was like planning to go to the Moon ‘without inventing the airplane… there are all these steps in-between’, and suggested that high-end audio enthusiasts were like the tip of the tail of a dog, but that the dog has no master and no leash. And what will be the magic shifting-point? Well the thinking of the great and the good of the consumer electronics industry, at least as reported form these CES sessions, seems to be that everything could change in an instant if iTunes or Amazon were to offer high-resolution downloads. Hmmm… Now I’ve got a lot of time for those who have been toiling at the coalface to improve the sound we can all enjoy from our audio systems: those manufacturers who have been developing high-resolution audio systems for years, some of whom have backed up their hardware with a commitment to making music available to play on it; those labels, both large and small, both audiophile and general, who have promoted music at quality beyond CD; and those retailers who have sought to build online portals through which we can all buy this HD music content if we want it. However, it scares me a bit when the same people who suggest that iTunes has more or less destroyed the hi-fi industry – by making heavily data-reduced music the norm for hundreds of millions of listeners – are now saying that the one surefire way to ensure the future of high-resolution music is to do it the Apple way. After all, we all know what happens if we go down to that crossroads and make that deal: chances are our flourishing musical future will be pretty short-lived, and entirely out of our control. Thanks Andrew, you have said what needs saying but criticism is not enough, what we need is leadership and a marketing plan. As you correctly point out “After all, just about ever DAC chip you can buy these days will handle HD music – they’re designed for the demands of Blu-ray soundtracks – so if you’re a manufacturer, why not make use of it?” Was Blu-ray HD Audio part of the HDA initiative? No, they ignored the best content and delivery system as though it didn’t exist, even though its already deployed in millions of homes and has a huge library of music concerts by the world’s greatest artists, bit-for-bit identical to the original master recording soundtracks. They dont know how to demo it. This content cant be downloaded so once again we have to wonder whose idea this was? They only promote downloading sites with USB speed and bandwidth, the dynamic range on these 24/96K tracks is still compressed with MLP or FLAC, thats why the labels let it out the door. For a perfect one to one copy of the master recording, only Blu-ray will suffice and yet the audiophiles are still in the dark. Worse yet is the lack of standardization for setting up the Blu-ray players to output the best audio. The player has to be connected to a display for proper set up, the video must be set to 1080p first, then the HDMI must be set to Bitstream and enabled for multi-channel output, even if the goal is simply stereo, if this is not done by an HDMI de-embedding DAC, the results are still lossy. Some have called it Orwellian. I prefer to say that DRM is in place to protect the artists and the labels from piracy, which is rampant in the digital world. Without some measure of protection to keep the highest resolution content from being copied, we risk losing the pleasure of hearing and seeing our favorite bands at 1080p and master quality sound, able to hit 120 dB SPL at home. This train is moving by word of mouth, Blu-ray HD Audio is growing rapidly. Releases like the Rolling Stones in Hyde Park last summer allow us to finally get what we need, and want. 🙂 I believe the Blu-ray format lured the Stones out of retirement one last time, for posterity. It is the best Stones concert ever recorded or staged, they used all the latest technology to thrill 100K fans. I bought my first cd in 1987 and since then I acquired a cd library that is too big to replace. So now I am supposed to forego them and acquire the same music I have collected for nearly 30 years in a HRA format? Umm…no thanks! I think my cds through my hi-fi system sound good enough. Thank you very much! I don’t think you’re supposed to forgo your existing collection, especially as you are already happy with the sound of your CDs through your system. Higher-resolution formats are being offered as an extension to existing collection, not a replacement – even though CD was hamstrung by the limits of existing technology when it was launched, and these new formats offer us the chance to move on. Thanks for the reply, Andrew. Did not mean to sound cranky in my post but having to go from vinyl, cassette, to cd and now to Hi Rez, it just seems like a never-ending carousel ride. I think my saving grace might be the new Sony HAP-Z1ES unit. It is supposed to up-convert all signals to DSD quality and has 1 TB of storage. It is a bit pricey and I wonder if other companies will follow suit with similar units, which should bring the prices down. I guess a cheaper alternative is to buy a laptop and a DSD-capable DAC? Just trying to figure the options if I fully jump on board at some point. I do have a ton of music on my desktop computer already, but I still enjoy the physical aspect of the media like LPs and cds. I don’t quite understand what that means: of course I wouldn’t want to view an HD movie over a 3″ screen, but if hi res audio and headphones is my ‘thing’ then having it available on a smartphone makes perfect sense..? It would make perfect sense if the smartphones sounded any good, but unfortunately they don’t.